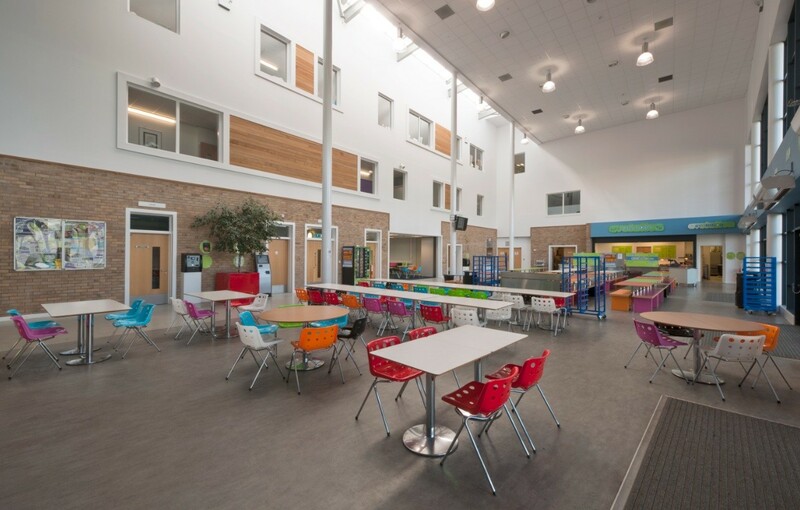 Sitting in a spectacular location to the south of Crieff, Strathearn Community Campus is based on an innovative new model for how facilities are provided for rural communities. 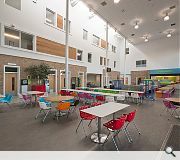 The building replaced the old Crieff High School with new state of the art facilities however Perth & Kinross council wanted a facility which would be a hub for the whole community. Aedas design successfully integrates community and school needs and provides a design which is modern and open. 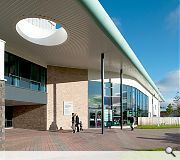 The main entrance to the campus provides shared access for both school and community users. 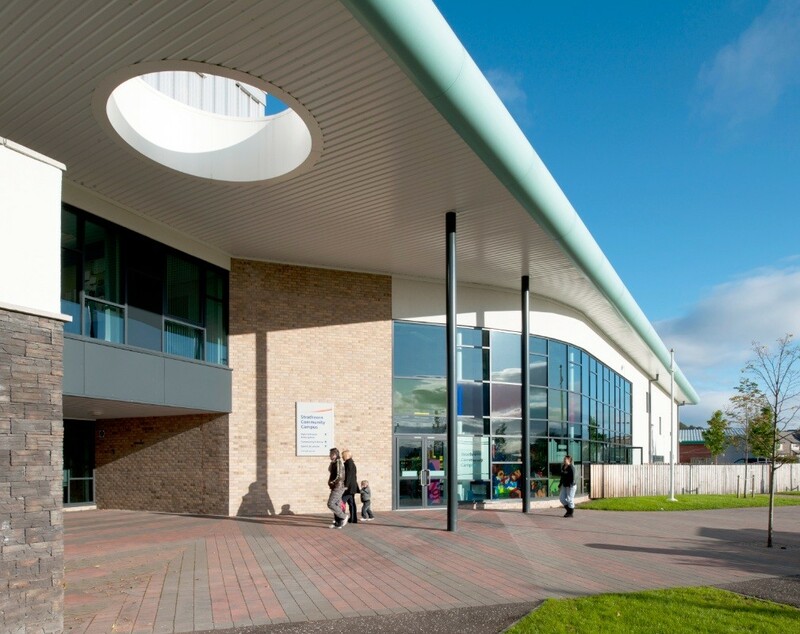 Entering under a generous canopy with distinctive circular roof openings, from here, local people can directly access the newly relocated community library or the circulation ‘street’ which forms the spine of the campus. Leading into a dramatic 3-storey atrium this provides access to the town’s leisure centre, to which the new campus is attached or the new multi-purpose theatre, cinema and assembly hall. While members of the public can use the building during the school day, Aedas carefully considered the layout of the campus to ensure that teaching accommodation could be kept secure. The innovative large format masonry system used for construction allowed the provision of additional un-briefed teaching space. These open areas allow natural light in to circulation spaces, minimising the need for long dark corridors. The campus benefits from spectacular open vistas all around the site and Aedas have located the accommodation to take advantage of the best of the views. This location demanded an appropriate architectural response and the building has been designed to pick up colours from the surrounding landscape and to use a selection of natural materials including stone which reflects the dry stone walling surrounding the site.